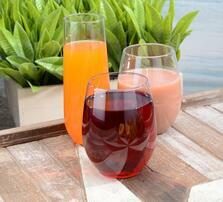 Spring is in full swing and it is the perfect weather to host your celebrations in the fresh air. 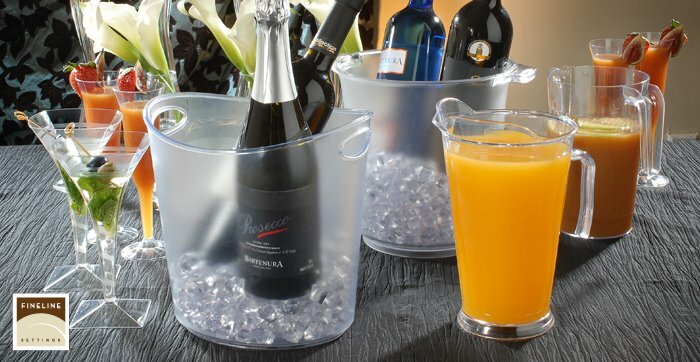 Fineline Settings is here to give your balmy soiree that special touch of elegance and distinction that you have been looking for, with the ease of disposable! Spring Break is here and your little ones wish nothing more than to stuff as much fun and celebration into these precious days of freedom as they can, and we know that you’re the one they will entrust to make their vacation something special. Have you been planning that day of fun for your family and friends and you need a chic and yet durable canvas on which to express your culinary creativity? Our products are here to help! 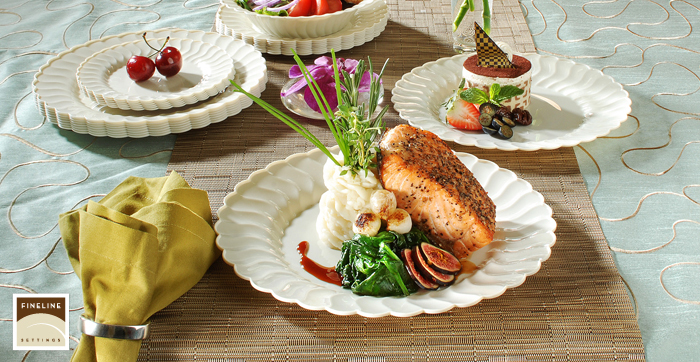 Keep it simple but elegant with our Savvi Serve collection, or take it up a notch with our premium dinnerware, Flairware! No matter the style of your event, we are here to compliment your affair; whether you’re hosting a black-tie wedding reception for 300 people, or that annual barbeque with 10 or 12 of your closest friends, there is a collection to match your tastes! It goes without saying that there is no beauty like that of nature, and what better way to get in touch with nature than to serve your guests in the great outdoors? 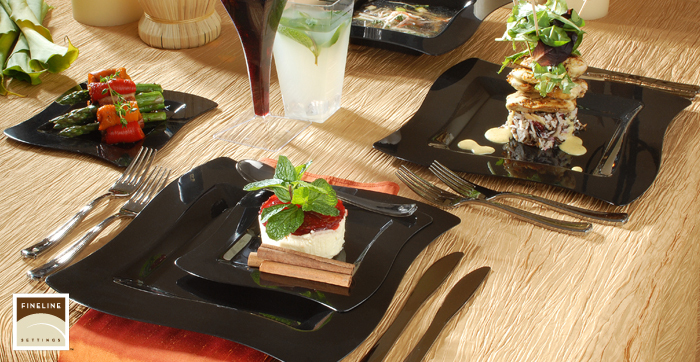 With one of our premium collections, you can host with confidence that your plastic dinnerware will not only survive the elements with its durability, but impress your guests with its striking elegance. 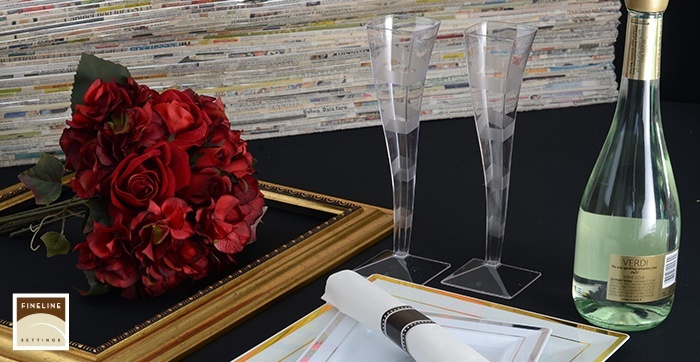 It does not matter what the celebration is, we know you’ll find the collection that will help accent your beautiful event and make your celebration a sensation! Now, we here at Fineline Settings know that green is quickly becoming a very trendy color, and the environment should be on everyone’s short list of responsibilities. Because of this, our company is happy that we can assure our customers that you can comfortably serve your guests with the clear concience that all of our products are 100% recyclable where facilities are available! We know, we know- it seems too good to be true that the qualities of: style, durability, affordability, and environmental-consciousness could ever be combined so melodiously; but Fineline Settings is here to assure you that you can, indeed, have all that and more! 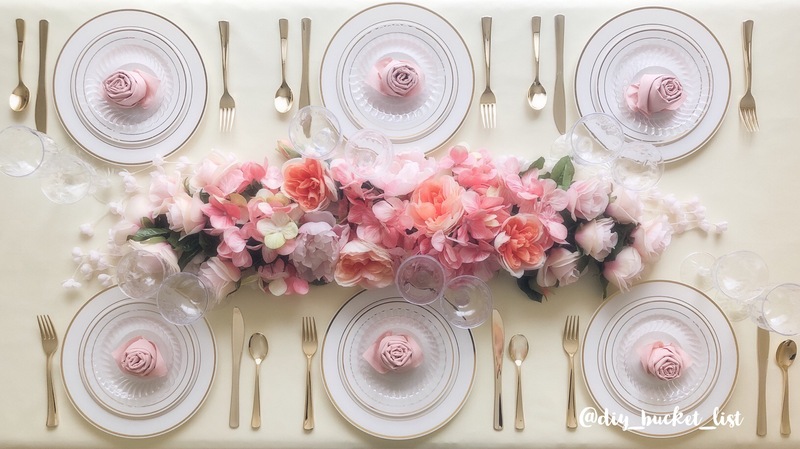 So, now that you know you have a beautiful canvas with which to display your appetizers and entrees upon; we know that one of the biggest and most overwhelming decisions left for your season inspired event is what to serve on your stylish dinnerware selection? Are you looking for something unique and yet easy, do you want something different and fresh that will really help you feel the new season inside and out? Don’t worry, your friends here at Fineline Settings have got you covered. We’ve found some fantastically quick, easy and elegant recipes that will leave an indelible mark on your guests that they will never forget! The savvy Phoebe Lapine’s post entitled “7 Spring Break Recipes To Bring The Party To You” on the HuffPost Taste has provided a list of fantastic and unique recipes ranging from: Chipotle Mango Salsa to Edamame Succotash Quesadillas. 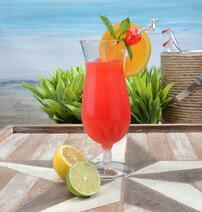 We know, our mouths are watering, too! 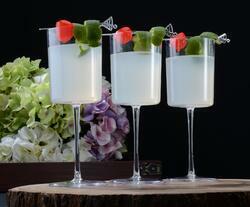 Do any of you party planners have a recipe for spring that you would like to share with us? 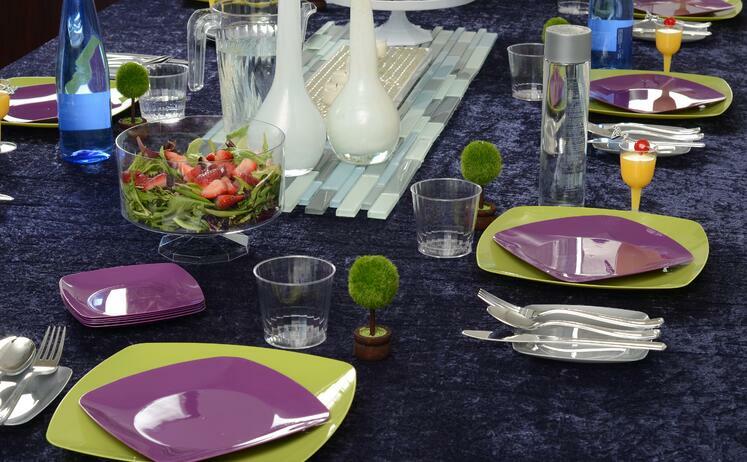 Do you have a beautiful and interesting tablescape you’ve created with one or more of our collections? Let us know by posting it in a comment below! No matter what, we here at Fineline Settings know that whatever you choose to serve or where you serve it, our collections are there to accent your individual style and elegance; helping you to set yourself apart and leave your guests talking for years to come… after their speechlessness wears off, that is! With a long and tumultuous winter finally drawing to a close, we are all undoubtedly happy to bid a fond farewell as the heavy blankets of snow are pulled back to unveil the warm colors of spring blooming gloriously all around us; revitalizing us in a way that only the beauty of the budding flowers and soft call of cooing birds can! Fineline Settings knows that any season is worth celebrating, but there is something especially special for all of us when the winter fades and spring covers us with bright blue skies and colorful flora. Whether it be the soft spring rain or the sweet fragrance of blooming flowers, there is something about this rejuvenating season that makes it one of the most popular times of year for your events and celebrations. With the sunny sky and the vibrant colors,or the sound of birds singing to another outside our windows, it is no surprise that spring is infamous for being one of the most romantic seasons of the year; and what better celebration of love than your wedding? 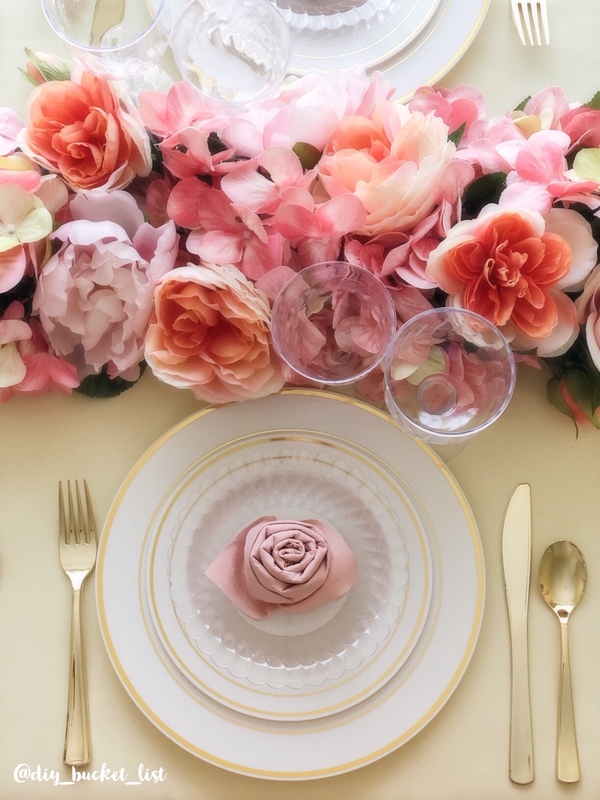 We know that this is one of the most important celebration in a persons life, and we are here to help make your spring reception memorable, sophisticated, and easy! 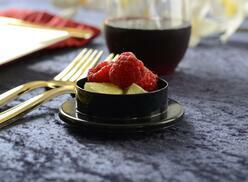 With durable, beautiful and fully disposable dishware, allow one of our premium collections to compliment your celebration with a magnificent touch of elegance unlike any other. 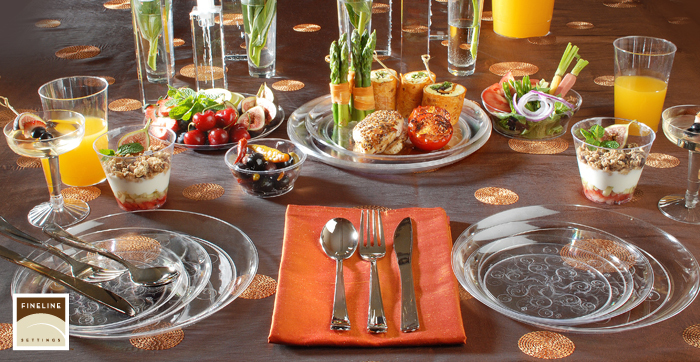 Put your celebration leagues above the rest with our Silver Splendor products; demonstrate your stylishly modern, but always elegant sense of taste with the Renaissance or Wavetrends Premium Disposable Dinnerware collections; and take finger-food to the next level with our Tiny Tempts selection of plates, utensils, barware and more! Whether it be your wedding, a sweet sixteen party for that special youth in your life, that 50th wedding anniversary for mom and dad you’ve been planning for months, or even just a weekend dinner party, Fineline Settings is excited and committed to showing you just how fantastic your celebrations can be. 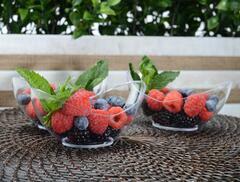 We're happy knowing that, as our customers, not only will you feel confident that your event will be beautiful and elegant, but you can enjoy your celebration with a clean conscience as you serve your guests on plates, flatware, and platters that are fully recyclable anywhere a facility is available! What better way to celebrate the budding green renewal of nature than keeping your impact on the environment low and knowing that your event will still be nothing less than stunning? 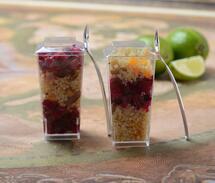 Who knew recyclable could look this good? We know that no matter the season: you are stylish, you are chic, and we know that above all else your tastes are aligned with quality, elegance and distinction. Because of this, we know that you will find your kindred spirit in premium disposable products. While spring is the time of new beginnings, we are always and forever committed to providing you with the same quality products as we have always done; and to surprise and delight our customers with the new and exciting designs that will be fun, provoking, and always elegant. 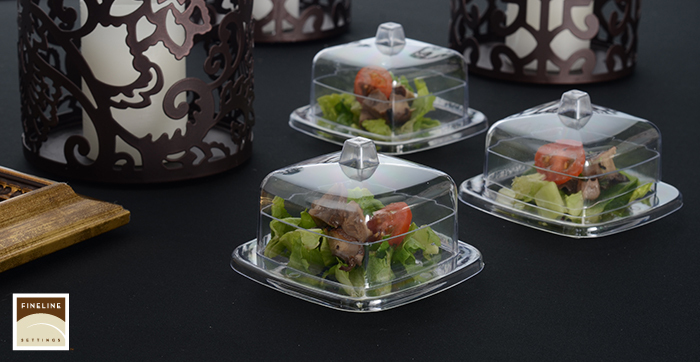 We're looking forward to accenting all of your spring events with products that suit any food presentation situation you look to achieve. We know that our customers will serve their guests with confidence, knowing that their special occasions will shine with tasteful and elegant distinction. Our company is excited to welcome another great season, and continue our excellence in quality to help you make your fabulous and special event a cut above the rest. All of us here at Fineline Settings hopes that your spring is full of happiness, health and style, and we can’t wait to show you what’s next! We found a few wonderful folks who have managed to bring beauty and elegance to DIY and naturally, we knew we just had to share our findings with you that could help inspire and awaken your creativety! CentsationalGirl.com has shown several beautiful design ideas for all types of events for all season! We also found realsimple.com, and fell head over heels for their quick "5-Minute Centerpiece Ideas" and couldn't wait to share them with you!